Whether you have a chlorine or saltwater pool, we can handle the job. We are experienced working with both types of pool systems and committed to providing you with the appropriate chemicals, conditions, and stabilizers for your pool. Before adding any chemicals to your pool, we test the water for PH balance and sanitary conditions. Several chemical, saltwater chemical, and water purifier packages are offered. Contact us today to determine the best pool service package for your Katy pool. A healthy pool requires an appropriate balance of chemicals, alkalinity, and hardness to ensure sanitation and swimmer comfort. While pool water testing and chemicals are important, the equipment circulating, heating, and filtering the water is also important. We inspect all equipment to ensure proper operation. Skimming, vacuuming, and scrubbing ensure that your pool is free of floating and settled debris and that all surfaces are squeaky clean. Ready to take the plunge and invest in a saltwater pool system? Saltwater pool systems offer many advantages including dramatically lower chlorine levels, controlled stabilizer levels, and improved swimmer comfort. Let us help you convert your chlorine pool into a saltwater pool. No matter what type of Katy pool service you require, we deliver! 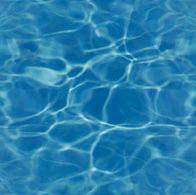 We offer several different packages to meet all of your pool cleaning and maintenance needs. We serve all of Katy, Texas as well as nearby communities. Contact us today for a free consultation.